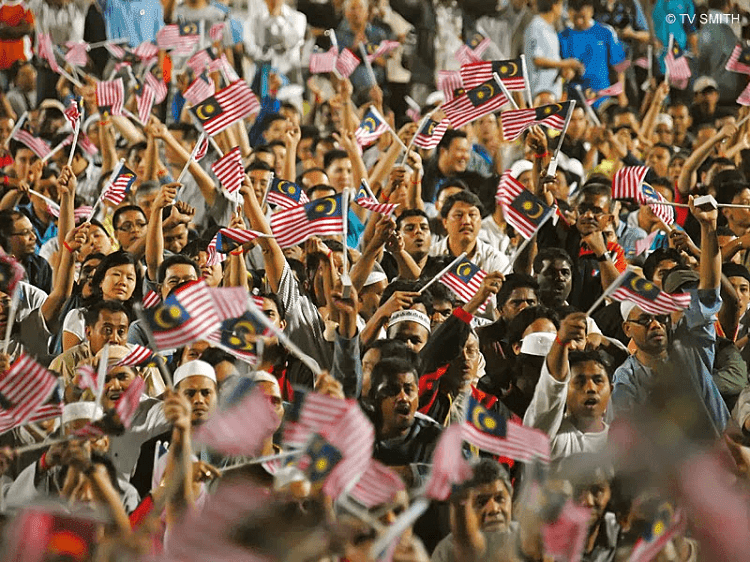 Multilingualism And Nation Building – Malaysia is in fact a heterogenious, multi-religious and multi-racial country with federal constitutional monarcy, Islam as its official religion and Bahasa Melayu as its official language. As a Socialpreneur and Blogger by practice, a Marketer by qualification, and not a social scientist, I have been a distant observer of Malaysia’s numerous socio-politico-economic phenomena in general, and the relations among humankinds in particular. On the other hand as a parent, I also have been observing most children, who happend to have been educated in government’s premier educational stream (SK, SMK, SJK), Islamic school, Catholic-run school, International school and such, have grown nicely but just within their circle of friendship and trust. The Colonial concept of ‘devide and rule’ are yet still exist till to date without all of us realising it. The only explanation to such a close friendship and relationship just circled among them, is the fact that the word out of one another’s mouth. The Malays with Malay, Chinese with Chinese and Indians with Indian in their majority circles. Thus, the Colonial concept of ‘divide, rule and conquer’ was not the concept that the Westerners imposed to our forefathers in a first place, but probably embedded within our society long time ago. The Westerners learned from us and we simply have showed them how to conquer with their gun boat diplomacy act. But of course there are many Malays, Chinese and Indians nowdays mixed cordially together whose first language normally happend to be English. As for me, one attracts another not because of one’s religion, race, creed or colour, but one’s ability to communicate effectively without any mistrust, misunderstanding or other misgiving. On reflection, over the last 60 years of independence, there has been no fundamental change in such a relation. The logical extention of such experience and perhaps of others too, is that it is high time for Malaysia now to re-visit its general policies, particularly those relating to national unity, nation building, national education as well as socio-education. I am looking forward to the introduction of 1 + 3 languages formula to be implemented in all schools, irrespective of its type or its geographical setting. 1 – Bahasa Melayu, 2 – English, 3 – Mandarin or Tamil and 4 – Arabic or other languages of the United Nations. Irrespective of school of one goes to, the present and future generations of Malaysia will master not only 1 language. Bahasa Melayu is compulsary for nation-building and overall cultural identity. English somehow is still relevant for economic competitiveness and general international affairs, but we also shall be able to communicate easily in Mandarin or Tamil among fellow Malaysians and Arabic among Muslims especially when it comes to religious matters and affairs. The lack of knowledge and skills in Arabic has been troubling many Malay-Muslims including me without exception, and those who did not have the benefits of special tuitions in Arabic or opportunity to have enrolled in religious schools. Their appreciation of Islam and Islamic fundamentalism has been limited by their excess to limited secondary source even in Bahasa Melayu and whatever could be gathered by having attended or listening to regular ‘tazkirah’. As a Muslim, Malay and Malaysian, I can guarantee that you will always get respected and bond a true friendship with others including non-muslim Malaysians whereever you go around the globe. Its just a matter of how you stand yourself as a muslim, communicate and repay that respect relationship to your non-muslim friends with sincerity as a responsible Malaysian. Thus from my humble perspective, the introduction of multilingualism in school would ‘democratize’ the access of all young Malaysians to the important languages of the world. Otherwise, the privilleges few would continue to command not only their own mother-tongue, but the ‘tongue’ and ‘ears’ of others. Betul tu kak PI, bnyk pasaran dan budaya boleh diteroka.